In CEO Tools 2.0, CEO coach and C-level executive Jim Canfield reveals the importance of making your business meaningful to yourself, your customers, and your employees. You’ll discover how to better communicate your goals, execute your intentions, and optimize your results. The end goal is a healthy, flourishing company that maximizes profits while freeing CEOs from the humdrum routine of daily operations. 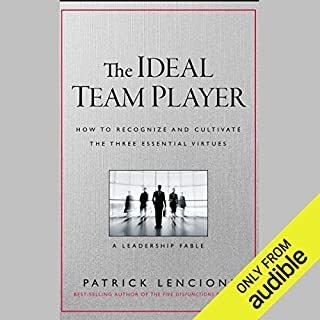 In this stunning business fiction debut, Patrick Lencioni delivers a powerful wake-up call to all of us who dare to lead. Young, ambitious, and overwhelmed, Andrew O'Brien personifies a part of every leader as he wanders in search of the elusive silver bullet that will propel him to success. He happens upon an unlikely guide who distills the seemingly infinite list of leadership perils into the five temptations of a CEO. In an intense and often combative exchange, the two debate fundamental issues faced by all leaders, issues involving personal integrity and effectiveness in the ongoing struggle for success. 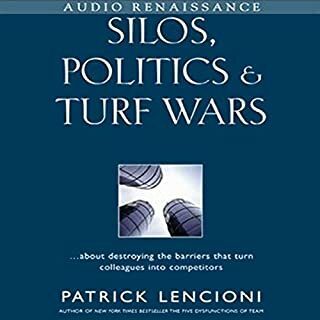 While some of these topics have been bandied about in the leadership literature for years, here they actually begin to make sense. Refreshingly original and utterly compelling, Andrew's story will serve as a timeless and potent reminder that success as a leader can come down to practicing a few simple behaviors, behaviors that are painfully difficult for each of us to master. 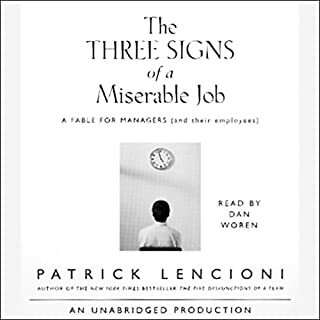 ©1998 Patrick Lencioni (P)1998 Simon & Schuster, Inc. All rights reserved. Audioworks is an imprint of Simon & Schuster Audio Division. 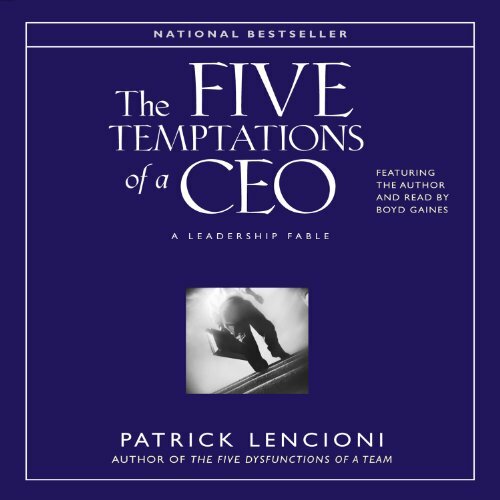 What made the experience of listening to The Five Temptations of a CEO the most enjoyable? this book is a lesson in the form of a story. It is a quick read, and contains countless "aha!" moments. I would highly recommend to anyone in managment or interested in forming a lasting business. Why waste days derivering a message when it can be done in hours! 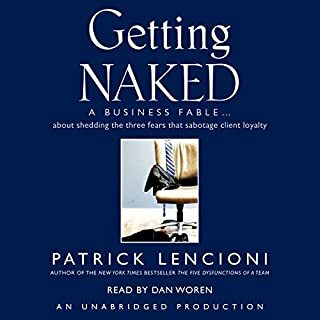 Most of this book is narrated in a form of a story and a dialog between two people making it more entertaining and lighter listen while delivering some really good point. Good book with some practical advice that can be implemented quickly and easily! It's a quick read done in a fable type style. This was incredibly helpful, I learned so much about myself and my husband. I saw so much of myself and my husband in the 5 temptations. Worth the read. 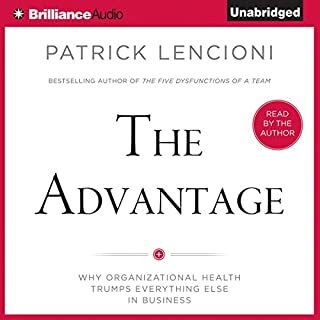 Have found Lencioni's fables and insights always helpful reminders as a leader myself. I have read this book before but wanted to read it again because I know I am always susceptible to these 5 temptations. Easy listen with a great story line. An essential book for every leader to read. As a CEO i can relate to these issues. Story is little weak but the principles are sound. If this book was written for a 10 year old, fine. But if it was written for a an exec to avoid pitfalls in the initial days, it’s pathetic in its approach and content. The author oversimplifies the context and issues and provides no real world advise or direction. Defo 1 star. Waste of your money. Easy to listen. Many great takeaways. I believe the vast majority of CEO have the best intentions of the business at heart. This book helps clarify areas where you need to adjust. what did I learn - Your colleagues are just like you, they are all human. They have strengths and weaknesses and honesty amungst you all for the benefit of the business will make you all more successful. great fable. very sound advice. Very useful practically tips for every day Management and timely reminders.